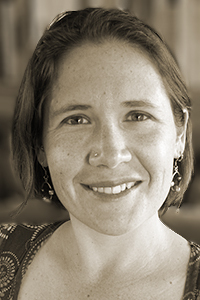 Alexandra Teague is the author of Mortal Geography (Persea Books, 2010), winner of Persea Books’ 2009 Lexi Rudnitsky First Book Prize and the 2010 California Book Award for poetry. Her poetry has appeared or is forthcoming in Gulf Coast, Prairie Schooner, ZYZZYVA, The Southern Review, and other journals. She is the recipient of a National Endowment for the Arts grant and a Wallace Stegner Fellowship from Stanford University. Teague is assistant professor of poetry at the University of Idaho.